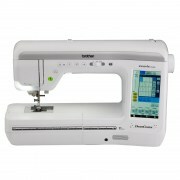 DreamCreator VQ2400 is Brother’s new versatile sewing and quilting machine. Part of the V-Series range, it has been specially made for those who dream of making incredible quilts and fashion-forward creations. 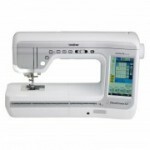 You will love working on our large - 11 1/4 inch needle to arm workspace, and the Muvit digital dual feed will mesmerize you – a motor driven foot that is a great benefit when working with thin or layered fabrics. 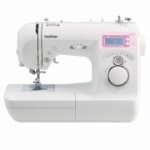 If this is not enough, the VQ2400 also has other exciting features like 561 stitches including 14 one-step buttonhole styles and 5 sewing fonts, ultra bright LED lighting, ICAPS (Continuous Automatic Pressure System) and Pivot function. With all these great features packed into our most affordable V-Series machine yet, why not start creating today?